Less than halfway through Donald Trump’s presidency, the world stands at the precipice of a global trade war. In January 2018, Trump imposed tariffs on Chinese solar panels and washing machines; he extended these two months later to steel and aluminum. In June, he levied tariffs on steel and aluminum exports from the EU, Canada, and Mexico and threatened the EU with an additional $350 billion in tariffs. In July, he targeted China’s high-tech industries with a further $34 billion in tariffs and proposed an additional $200 billion on China’s exports as the US Congress passed bipartisan legislation designed to restrict China’s military and economic activities. 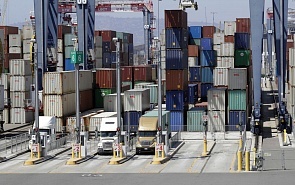 The EU, Canada, Mexico, and China retaliated with tariffs aimed at US farmers and manufacturing workers. The EU and the United States reached a tentative agreement at their July 25, 2018, summit in Washington, and both sides have refrained from the imposition of further tariffs. Efforts to renegotiate the North American Free Trade Agreement (NAFTA) are also reportedly making progress. By contrast, the US–China confl ict is far more intractable. While ceasefi res and truces are possible and perhaps even likely, a settlement that would be acceptable to both sides appears to be out of reach. It is highly unlikely that the United States could prevail in a trade war with China. Not only Wall Street ‘globalists’ but also farmers, manufacturing workers, and consumers are protesting even against the modest protectionist steps that have been taken thus far. Beyond tariffs, moreover, China can retaliate with informal boycotts, as it has done against South Korea and Japan, as well as take blocking administrative measures.